Certainly it happened to try different limescale removers to clean your bathroom, but the results are unsatisfying. But, I suggest to give up buying those chemicals, and try using the following natural ingredients combo, which are easily found in your pantry. Mix them in a non-metallic bowl until you get a paste that you can use to remove limestone by rubbing with a piece of soft-textured fabric. If you want to get spectacular results, here’s a trick! 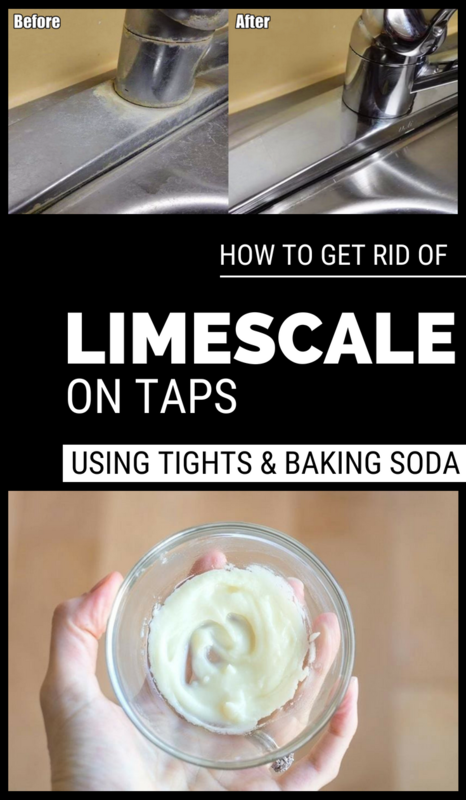 Don’t throw your old tights, and use them to clean the bathroom and kitchen tap after you have applied these natural limescale remover. The elasticity of tights makes them sufficiently malleable to remove residues from inaccessible surfaces.